During the Vietnam War, in order to take back the city from the North Vietnamese Army’s siege, the American forces used heavy artillery and airstrikes that almost destroyed the entire city. What we have today is the effort of a 30-year re-construction and conservation effort by the government and the people after the war. 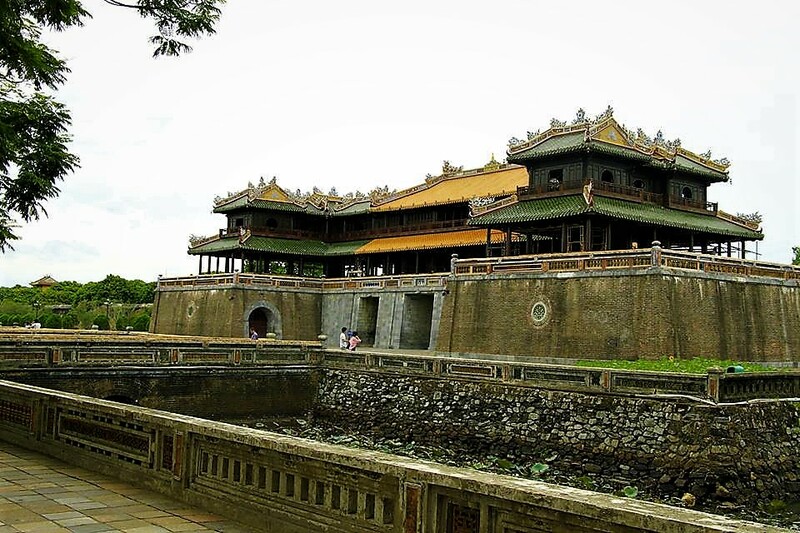 Hue is the famous Imperial city of Central Vietnam, the throne of the Nguyen Dynasty from 1802 to 1945. Old and tranquil, Hue is frozen in time, standing amongst the remnants of a once glorious Asian empire. Because of this, getting around Hue is intriguing with many options available, and sights to see. A major attraction of Hue is its gigantic old Citadel, fortified by a natural moat – Huong River and enormous stone walls. There are many cultural and historical buildings inside, including the Forbidden City – the emperor’s living quarters, the Royal Theater, and other minor palaces and shrines. Getting from other cities to Hue is rather straight forward, yet there are limited options available. 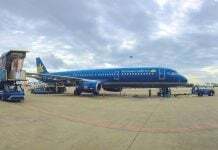 There are flights from Hanoi and Saigon that depart daily to Phu Bai domestic airport, 15 kilometers away from the city center. Many busses and transfer coaches wait for you outside at all times of the day to take you to the city for 50,000 VND only. Taxis from the airport to Hue should be around 250,000 VND at most. 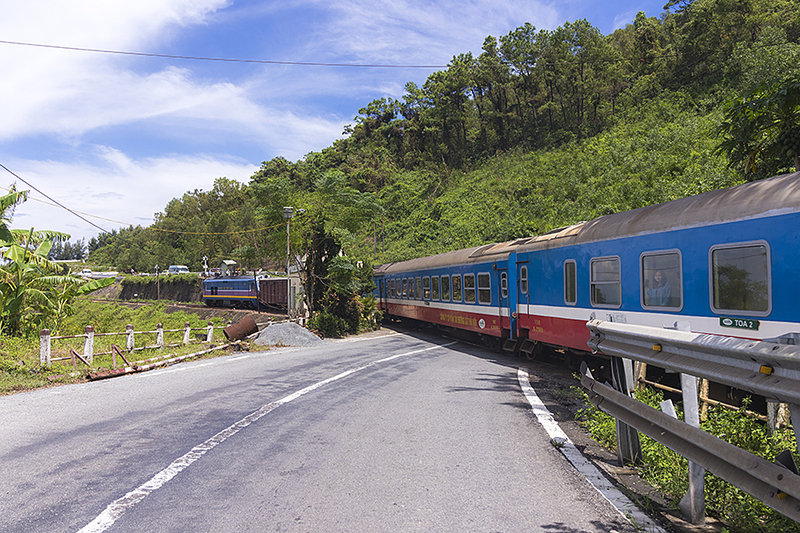 You can also take a train journey from Hanoi or Saigon to Hue, which is 12 hours and 20 hours respectively. A train from Da Nang takes six hours and brings you extravagant sight-seeing moments along the Hai Van pass and the Lang Co bay (I highly recommend this option). 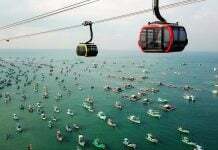 For other modes of transportation, consider getting to the nearest metropolis – Da Nang city – first. You can fly from many places in Vietnam or in Asian countries to Danang, which is convenient. From there, it takes two to three hours to get to Hue, either by bus, taxi/private car, or your own motorbike. Check out my previous article about getting around in Da Nang to discover the transports available there, I included various private car agencies that will gladly bring you to Hue as well. One-way to Hue in a private car or taxi can be negotiated down to 40 – 45 USD, if not it will cost up to 1,200,000 VND (53 USD) using the meter. Day trips to Hue are available from these operators as well. Once there, it is pretty easy to navigate around on your own. The main attractions – the Citadel and the Perfume River locate in the northern part of the city, and the modern downtown is to the south. Most of the accommodations, food, and beverage venues are in the downtown area, which is just a 15-minute walk across the Trang Tien bridge. The riverside area serves as a nice pedestrian establishment, pleasant and green, decorated with many artistic sculptures. Other landmarks, such as tombs and pagodas are around the southern outskirts of the city, which are more accessible by buses, taxis, and motorbikes. The famous Khe Sanh battlefield and the DMZ is 70 kilometers to the north. Coming up next, I will recommend some modes of transportation that will help you get around Hue with ease as well as a few major attractions for you to see. Hop on! 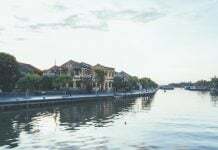 Unlike other big cities, the sightseeing in Hue is spread-out and scattered around a big area containing downtown, the suburban area, and the outskirts of the city. Since going from one point to another on foot is not a viable option, unless you will be limiting yourself to the Imperial City, you will need to think about transportation options. Further on, if you wish to traverse to the tombs and pagodas, taking motorized transportation is a must. 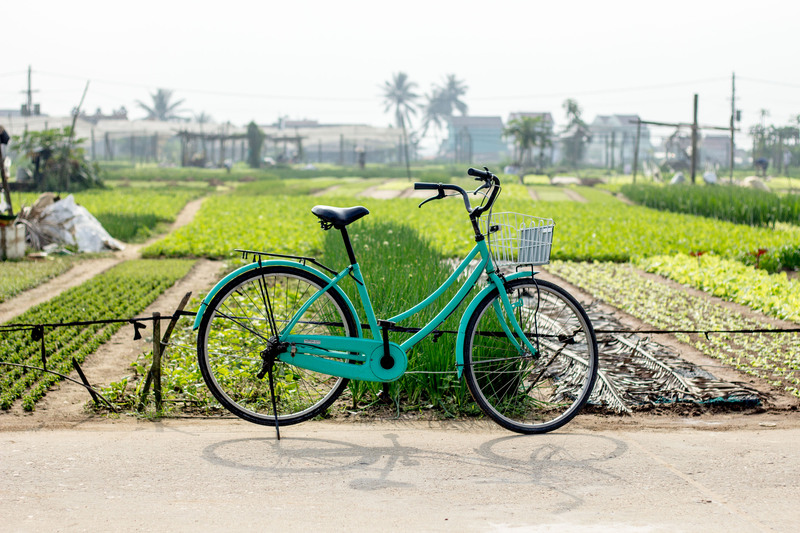 There are three main types of transportation available in Hue right now: Taxi/ Private Car, Cyclo/ Motorbike Taxi, and Renting your own two-wheels. Buses in Hue are quite dodgy for foreigners and the routes are confusing, so I do not recommend this option just for your own safety. But if you are willing to try, you can do so easily with the help of Google Maps by pinpointing A to B and choosing the bus traveling option. In Hue, there are always flocks of cyclos and motorcycles, but there are fewer meter taxis compared to other cities. 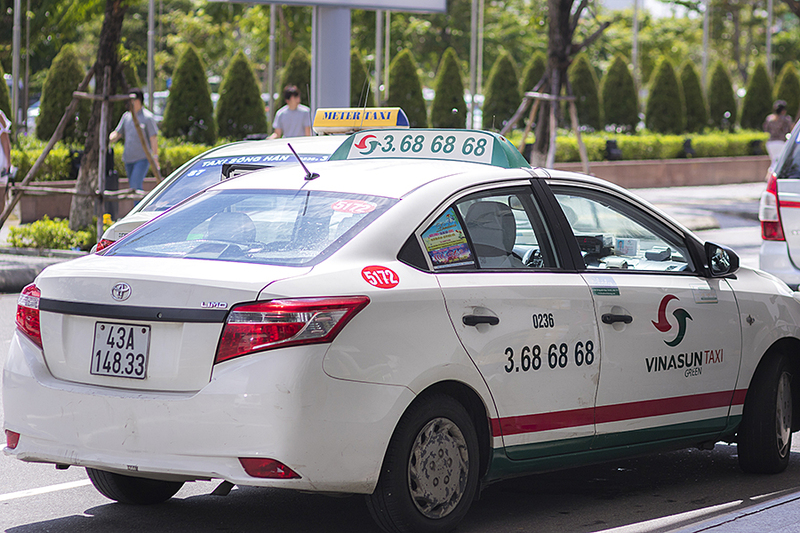 Taxis here are usually honest, but just for your own good: the meter should start at 15,000 VND for the first two kilometers, and it changes to 11,500 VND/km for the following kilometers. Just keep this in mind and check with your navigation system for distance to avoid scamming, if such a thing happens, insist on paying the fair price you estimated or calling the police. Since the attractions are far away from each other, a trip to see two tombs should be around 300,000 VND (18 USD). If you are traveling in a group for a day trip, you should arrange a private car rental with your hotel or any travel agents in the downtown area. If you are already in Da Nang, it is better to arrange everything there since there are more reliable private car operators in Da Nang and they usually have drivers in Hue also. Vietnamese Blablacar – Dichungtaxi is also available. You can book your taxi online prior to departure time and share with others for a lower fixed price. Grab is currently the largest technological transport company in Southeast Asia, including in Vietnam. Just download the Grab App to your phone (available in the Appstore and Google Play), you can book a taxi at any location and the car will pick you up. Integrated with a friendly-use map, you don’t need to struggle with telling the drivers your address. The fee will be displayed on the meter according to the fare of the taxi carrier. 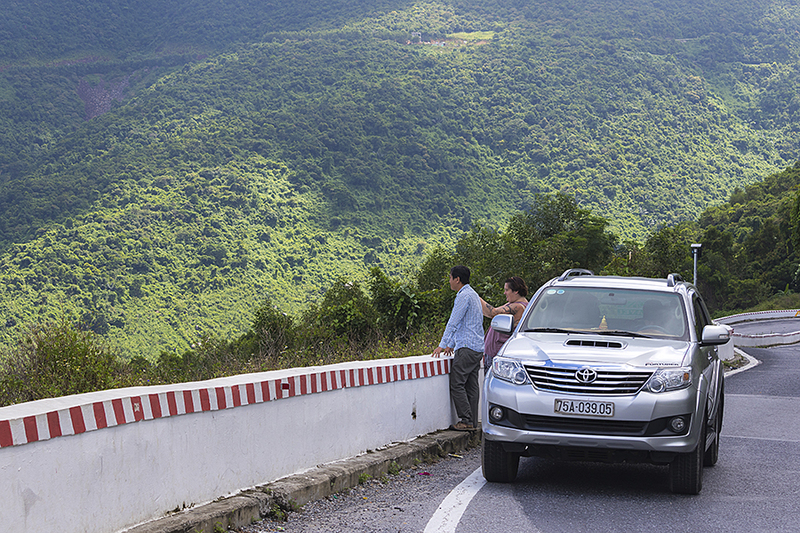 Taxi fares in the region range from 14,000 to 16,200 VND per kilometer. The amount displayed on the Grab App is only an estimated fee based on taxi fare (for passengers to consult before booking). This travel company provides one of the best services in Hue, with the most positive reviews on TripAdvisor. You will be picked up by a private, comfortable car. A special feature of Hue Friendly Cars is that all driver-guides are extremely friendly, knowledgeable, and can speak English fluently. With the tour in Hue, you will travel to major tourist destinations like the Citadel, Thien Mu Pagoda, Tombs of King Minh Mang, Khai Dinh, and Tu Duc. The price ranges from 39 USD to 54 USD per package depending on the type of car. Visit their website for detailed information. 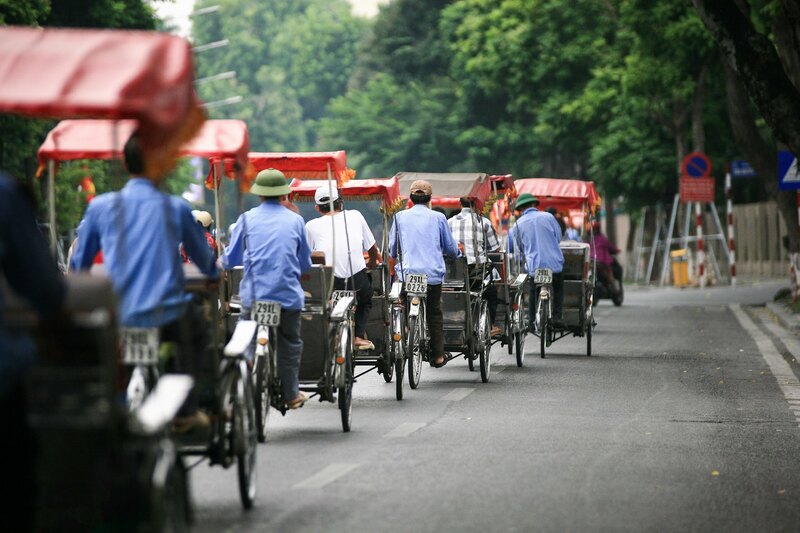 Since Xich-lo and Xe Om are more widely available in Hue and with the absence of Grab Bike, the cyclo and motorbike taxi is a great way to traverse the ancient city. Always pinpoint your destination on the map and negotiate a fixed price ahead of time. Just walk away if they insist on high prices. Inside the urban area and the Imperial city, no trip should be more than 20.000 VND. For longer trips, stand for half of the price quoted. Occasionally you will stumble on Xe Oms who double as Marijuana dealers, just politely decline the offer. To be safe, you can hire private xe om or xich-lo at local hotels and travel agencies. You may get in touch with English speaking drivers with many stories to share, and some of them are ARVN Vets (dressing 1960s US Army uniforms). Consider yourself lucky if you find yourself riding these guys’ bikes, they will take you around all the tombs and to some hidden sights, get you some beers and spring rolls or Hue savory pancakes just for around 15 USD. Beer and food are cheap overhead prices, but if you like your driver, try to cover him for his act of hospitality. 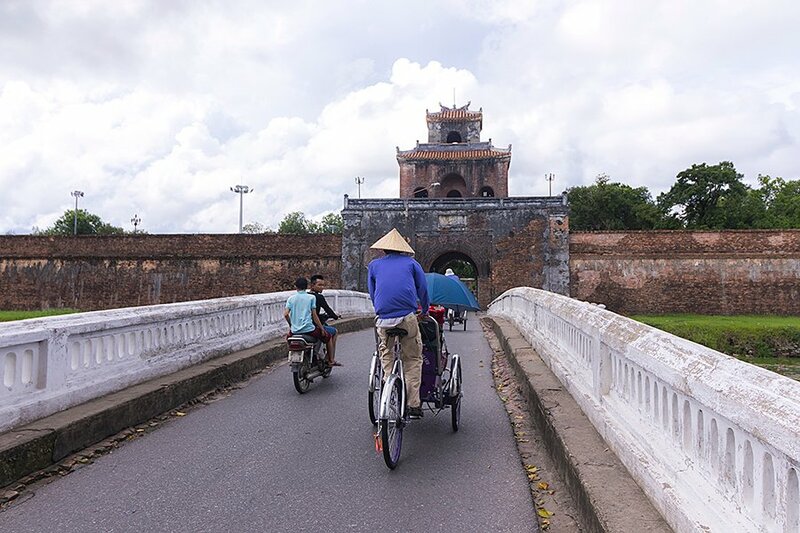 Cycling around the Imperial city of Hue, amongst the beautiful traditional-dressed high-school students, should be one of your most memorable moment in Vietnam. You can arrange the rental with local travel agencies and hotels for around 50,000 VND/day (2 USD). It is best to travel around the urban area with a bicycle, but visiting the tombs from there is a doable exercise. Some of the bicycles have Smartphone holders, always choose these for your convenience. Remember to lock your bicycle if you stop for anything. There are many parking lots near the sights and tombs offering a reasonable price of 5,000 VND to watch your bike. And along the way, you should visit some local food stores and coffee shops for amazing treats of Hue cuisine. Check out our article on foods not miss in Hue for a better idea of what to try. Motorbike traffic in Hue is almost non-existent except for around the bridges, somehow it is even better than in Danang. 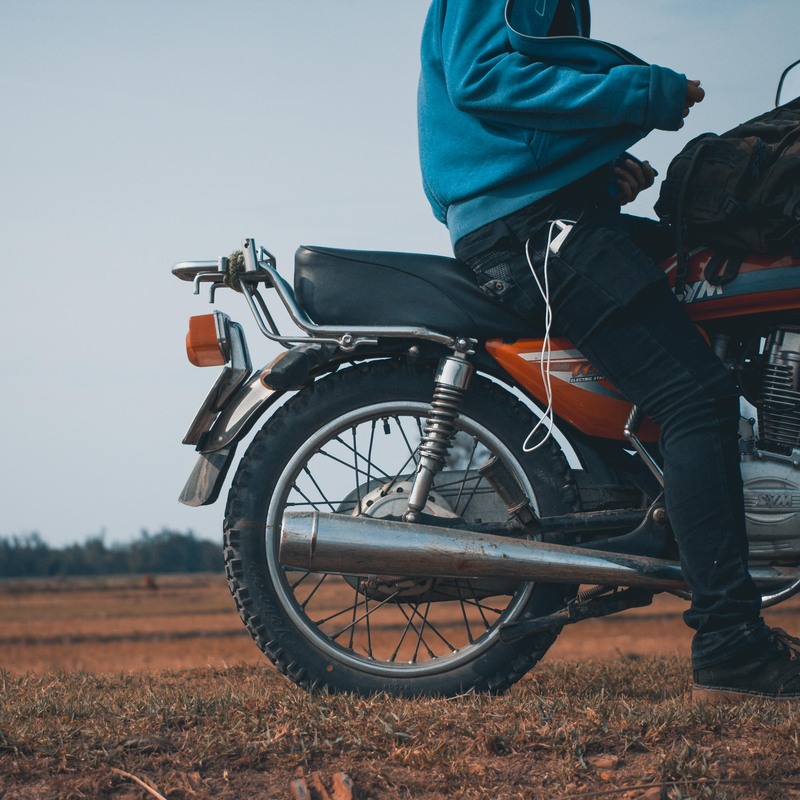 I have come up with a detailed guide about motorbike rental basics in another article – Getting Around Danang. But let us jump into renting a bike in Hue. Motorbike rental in Hue is around 120,000 VND/day (5.50 USD). Make sure that it comes with a helmet so as to avoid being fined on your trip by the police. There is only one trusted place with proper English speaking operators and website that I can recommend to you – Hue Motorbike Rental. Where to Visit in Hue? Hue is a historical Citadel of Vietnam, offering many old, rustic, cultural heritage sites that you should visit to fulfill your Vietnam trip. The main attractions are The Imperial City of Hue, The Emperors’ Tombs, and Thien Mu Pagoda. 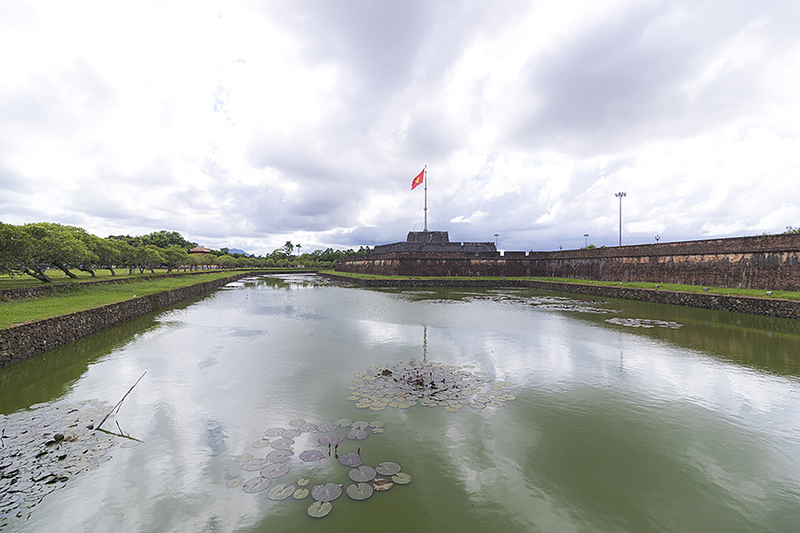 The Imperial City of Hue is the city’s primary attraction. In this complex, you will find many temples, palaces, museums, galleries, and other authentic architectural works. The place truly reflects the historical and cultural aspects of Vietnam, featuring ao dais for you to try on for amazing photo shoots. To fully explore every corner of the Citadel, it will take you more than three hours. The Citadel opens from 6:30 AM to 5:00 PM and the ticket is 150,000 VND/adult (6.50 USD) and 30,000 VND/child (1.20 USD). You should consider getting a bundle ticket for visiting other tombs as well, starting from 280,000 VND/adult (12 USD) and 55,000 VND/child (2 USD). The Tombs of the Emperors are located along the Perfume River , south of the Citadel. The best experience possible is to rent a boat and row upstream, visiting these sites. The tombs were built between 1802 and 1945, during the last Empire of Vietnam. Each of the tombs reflects different characteristics of an individual Emperor, from traditional Vietnamese and Buddist aesthetics, to French-influenced architecture. The most beautiful ones are the tombs of Tu Duc, Minh Mang, and Khai Dinh. The ticket for each tomb is 100,000VND (4.50 USD), therefore getting the bundle price is cheaper. Thien Mu Pagoda sits on a cliff on the northern bank of the Perfume River, overlooking the city from afar. The pagoda is also the official symbol of the city of Hue, worshiping an elderly celestial woman in local spiritual belief. You will be stunned by the sophisticated gold and silver interiors of this pagoda. It is considered one of the most beautiful pagodas in Asia. Now that you have the necessary information, start moving! One of the best corners of Vietnam is waiting for you. But take your time to cherish the hidden charm of Hue. Hi. I just found your blog on internet. It is very interesting. thank you for sharing our hometown!